Trusted quality, consistency and the best flavor possible. At CADIA® we use honest, simple ingredients in all our products to bring you delicious choices for any occasion. We believe in sustainable farming and sourcing the highest quality ingredients. Our long-term partnerships with organic farmers allows us to bring trusted, quality products exclusively to your neighborhood natural market. We believe food has the power to unite families, friends and communities through it’s shared experience. We work hard to bring you the best crunchy, flavorful granolas and snacks to authentic wood-fired pizzas and refreshing coconut water. We’ve got you covered from morning, noon and night with all your favorites to bring you delicious choices for any occasion. If you’re a retailer and you’d like to bring CADIA® into your store, visit contact us page and let us know! 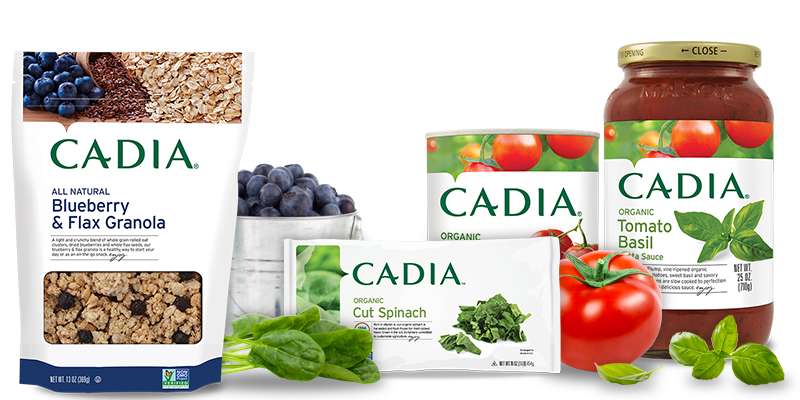 If you’re a retailer and you’d like to bring CADIA® into your store, visit contact page and let us know!